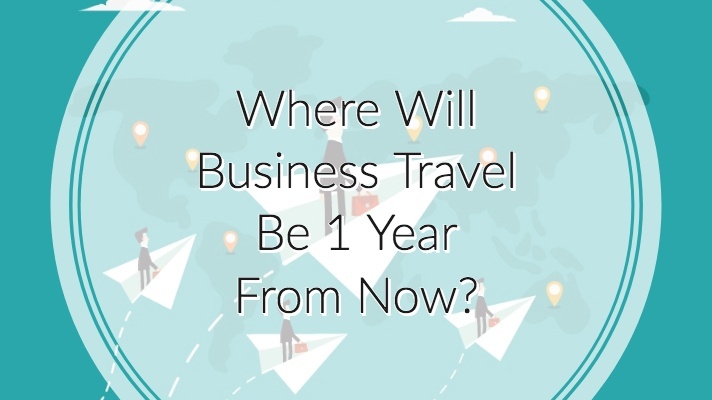 Where Will Business Travel Be 1 Year From Now? Predicting how business travel will change in the next year is challenging, especially since it’s changed so much in the last 12 months alone. Not only is the way businesses and employees approach travel different, but new rules and regulations are altering what travelers are allowed to do (and bring) on the flight. What will business travel be like in one year? For that answer, we need to look back at the last year. In the last year, travelers have started taking what’s referred to as “bleisure” trips (meshing business and leisure) by using their time to hit nearby tourist stops and by extending their business travel to spend more time in the city they traveled to for work. In particular, Millennials have been identified as the group most likely to take advantage of the opportunity to stay longer or spend their time sightseeing. A major concern by companies concerning bleisure becomes about who pays for the extra time, the flight, and the hotel. A February 2017 article published in the New Hampshire Business Review reminds businesses that “first of all, if your staff is on business they would have to fly home anyway, so we would always advise that travel policies state the flights home are paid for by the business, as long as there is no substantial increase in price.” As for the extra hotel nights, that’s usually paid for by the traveler. However, some companies are even using flexible travel as a hiring incentive and as a way to build loyalty for top talent. In the end, bleisure’s rise will continue, which means that companies will need to be flexible as their employees look for a blending of business and play, but companies can also use their flexibility as a selling point in their open job descriptions. That tweet was deleted, but news came the next day from the U.S. officials that this ban was real following information that there might exist a real threat disguised as a laptop. The ban has been controversial (with CEOs of affected airlines speaking out about the selectivity of the ban), but airlines have coped by allowing passengers to use their devices up until the gate and renting laptops to passengers for free for business-class and first-class customers. Bleisure on the rise has also meant changes in where travelers are staying and how they get there. Rather than staying in hotels, travelers are staying in whole houses or apartments for the same price. AirBnB, for example, has begun accommodating these travelers in a major marketing effort they call “Business Travel Ready” this summer. In particular, AirBnB promises stays with 24-hour check-in, Wifi, the entire place for yourself, a comfortable workspace, essentials (“hair dryer, hangers, shampoo, iron—everything you could need”), and “peace of mind” (smoke and carbon monoxide detectors). Plus, AirBnB offers one-click expensing to simplify the expense reporting process for those companies that register with AirBnB. Uber & Lyft are also part of this “peer-to-peer” economy of business travelers. Admins can book and track employee trips through Uber & Lyft, making it easy to provide transportation for cheaper in the way that travelers are most comfortable using. Expense reporting companies are adapting to these changes by making it easier to manage these expenses with hassle-free receipt management. While many company policies have not yet expanded to include home-sharing and ride-sharing, some corporations are beginning to add in language about it. As 2018 approaches, companies may find that they need to begin sorting out how they would prefer for travelers to work with these policies, especially since travels are going to continue to book these kinds of lodging and transportation for the sake of convenience and cost. In the last year, A.I. and apps have assisted travelers with finding the best prices (with the top apps for cheap travel compiled by The Points Guy) with the utmost in convenience (through apps like Lola, which uses A.I. to assist human travel agents). For now, it seems that A.I. is being used in conjunction with human intelligence to make traveling easier and more comfortable. Tech will go smaller (and paper will be more popular): Since news could come at any time that the laptop and tablet ban will be in effect, travelers may find themselves paring down what they bring for work and for leisure. Instead of bringing their laptops, travelers might be smart to bring a portable (foldable) keyboard and connect their smartphones to their work computers through remote access. We could also see travelers printing out their work to bring with them, using up ink and paper resources. Planes will also get smaller: Companies like Blackbird and Zunum Aero are proposing the usage of smaller planes at smaller regional airports. We predicted that this kind of travel would change expense reporting because of less travel time and cheaper costs involved with smaller planes. Plus, Zunum Aero (with investments from JetBlue and Boeing) is also building electric planes that will reduce the cost of flying and can recharge in a small airport. Thompson goes on to describe how A.I. will help travelers use coupons for their favorite magazines, stay in touch with a lost co-worker, and tweet about their positive experience (and then receive a positive note in response that used sentiment analysis). The story seems so realistic that it’s difficult to imagine that this won’t be happening in the very near future.